At the beginning of my brand strategy consulting career, I talked a lot about relevant differentiated benefits. The benefits could be functional, emotional, experiential or self-expressive. This evolved to focusing on the non-tangible benefits (emotional, experiential or self-expressive) with the product functions or features serving as support or proof points. Now, I mostly focus on a brand's shared values. The most successful contemporary brands focus on shared values and even go as far as creating communities around those shared values. And, increasingly, these values-driven brands become the vehicles through which people communicate their shared values. The first step in creating brand messaging is understanding the values that the brand wants to share with its customers. These values can come from the organization's founder and his or her strongly held values or they can be determined through deep qualitative research that uncovers customers' attitudes, beliefs, values, hopes, fears, anxieties and aspirations. The shared values will emerge from this customer insight process. Next, those values need to be incorporated into the organization's mission, vision and values. 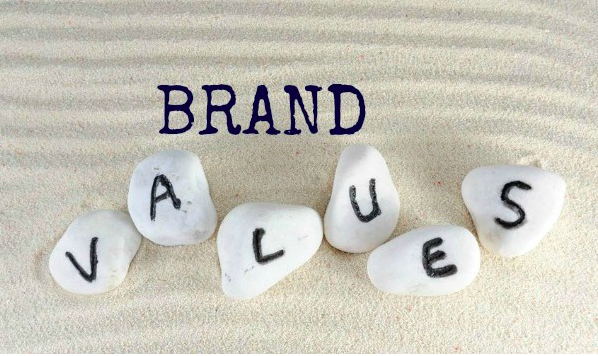 Then the brand story needs to be created from these values. Further, the brand's tagline and elevator speech is created from these values. These values should also guide hiring criteria and the organization's policies and standards. The brand should be aware of the words and phrases used by people who hold these values and they should be worked into all of the brand's communications. Once the brand begins to stand for these values, customer community-building mechanisms can be created around these values. Further, once the brand begins to stand for these values, the brand can create insignia merchandise that features the brand's identity. People will wear, use and display this merchandise to communicate their values to others. It is important to realize that a brand needs to be authentic in sharing these values in everything it does including its messaging. It is difficult to fake values. And if the values are sincerely held, it is difficult not to demonstrate them as a matter of course in everything the brand does.